When it comes time for Christmas in Pennsylvania, many cities and towns across the state go all out in their celebrations. However, with so many places to choose from, how do you know what christmas things to do in Pennsylvania? 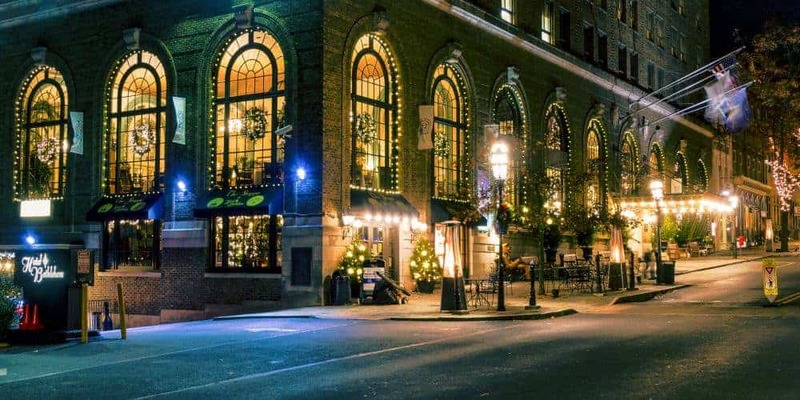 To help you, I’ve put together a list of my top 10 recommendations for places in Pennsylvania to get yourself in the Christmas spirit. While I haven’t visited everywhere on this list myself, the ones I haven’t visited have come highly recommended to me, including by readers of this site. Pittsburgh features some amazing holiday attractions. 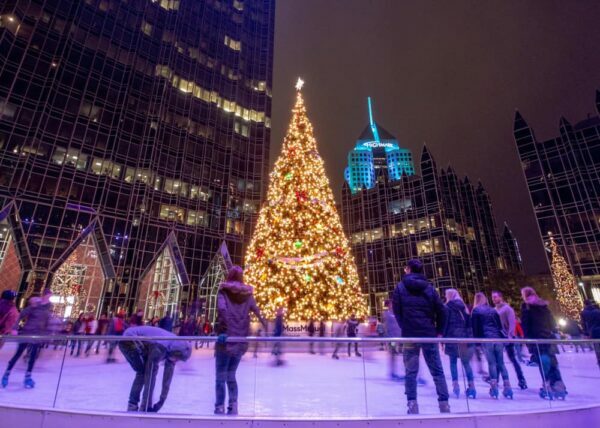 The heart of Christmas in Pittsburgh can be found at Market Square and PPG Place. The two squares, which are basically right next to each other, make for a great destination for anyone looking for Christmas things to do in Pittsburgh. In Market Square, shop at the authentic German Christmas market from November 16 – December 23. Explore the many shops, taste some German snacks, and even visit Santa all in the confines of a quaint Christmas market. Once you are done, walk the short distance to PPG Place to see Pittsburgh’s Christmas tree and show off your skills while skating around the rink that encircles it. The ice rink is open from November 16, 2018 through late February 2019, but enjoy early to see the giant Christmas tree centerpiece. 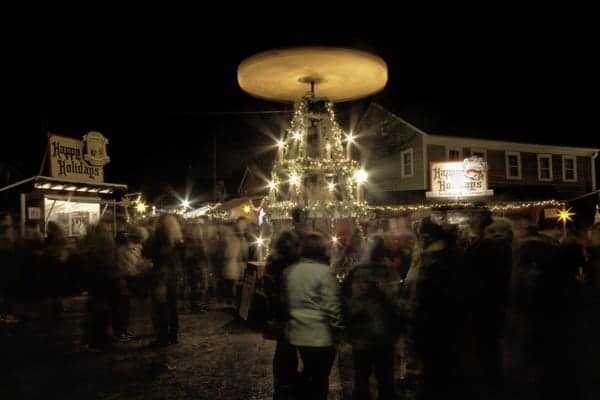 The Mifflinburg Christkindlmarkt is one of Pennsylvania’s most authentic Christmas markets. The Christmas Market in Mifflinburg is an amazing experience that any lover of the season should experience. While I’ve never been to Germany to see their Christmas markets, this is exactly what I’ve always imagined they are like. Even better, the Christmas market in Mifflinburg claims to be the oldest, authentic German Christkindl Market in the country, and I have no reason not to believe them. Unlike many of the Christmas markets in larger cities, the one in Mifflinburg is only open three days a year (in 2018, it’s open December 13-15). Because of this, it can get a bit crowded, but it’s worth braving the crowds to experience this great tradition. There are few more famous Christmas books than “A Christmas Carol” by Charles Dickens. 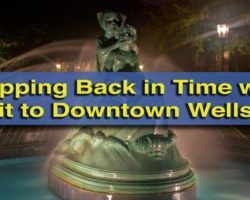 And for one weekend every December (December 1-2 in 2018), the community of Wellsboro in northern Pennsylvania turns back the clock to Christmas in the Victorian era of Dickens. Visitors can stroll the streets as costumed actors and carolers bring this era to life. Vendors and shops line the streets in downtown Wellsboro with food and great holiday gifts. At night, the celebration ends with the lighting the community Christmas tree. To find out more about this fantastic event during Christmas in Pennsylvania, check out its website. The Christmas Light Show inside the Wanamaker Building is one of Philly’s best Christmas traditions. Located inside of the Macy’s Department Store across the street from Philadelphia’s City Hall, the Wanamaker Organ is the largest, functional pipe organ in the world. During the year, it puts on daily concerts which are simply beautiful. 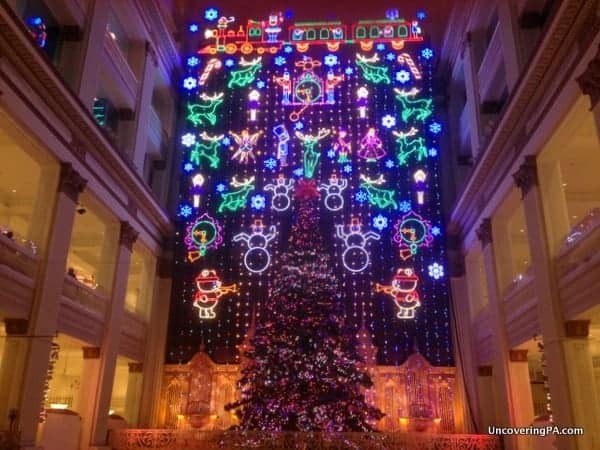 However, during the Christmas season they turn it up a notch with Christmas carols and a wonderful light show, all in the atrium of the department store. Make sure you visit for the noon show Monday-Saturday, as the Wanamaker Organ puts on a live show after the completion of the light show. When you visit, it’s also worth heading upstairs to the 3rd floor Dickens Village, where you can walk through some of the most memorable seasons from “A Christmas Carol.” I was really impressed with the effort put into recreating the details of this classic story. (Click here to uncover more great Christmas things to do in Philadelphia.) Events run November 23 through the end of the year. 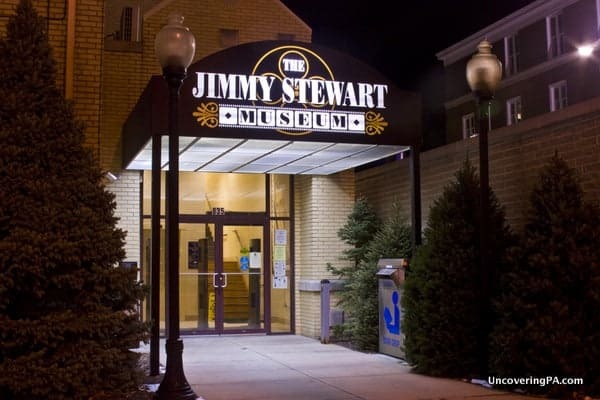 The Jimmy Stewart Museum in Indiana, PA is a perfect destination at Christmas time. Of all the Christmas movies ever made, one of the most classic is “It’s a Wonderful Life” starting Indiana, Pennsylvania-native Jimmy Stewart. Today, Stewart’s hometown is home to The Jimmy Stewart Museum. 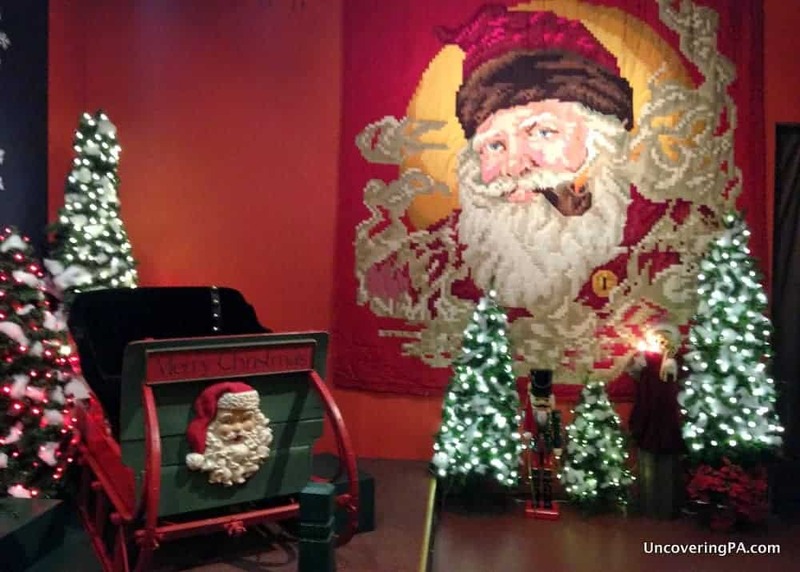 Located in the heart of downtown Indiana, the museum really ramps up at Christmas time as visitors come to learn about about not just Stewart’s famous Christmas movie, but his entire life and career. Since the museum is located in downtown Indiana, checking out the rest of the area is quite easy. Many of the shops downtown are decorated for the holidays, making Indiana a great Christmas destination, especially during their It’s a Wonderful Life Parade, which is being held on November 16, 2018. If you can’t make it for the parade, other festive events will be going on each weekend during the holiday season. Christmas Candylane at Hersheypark is a great way to spend the holidays. 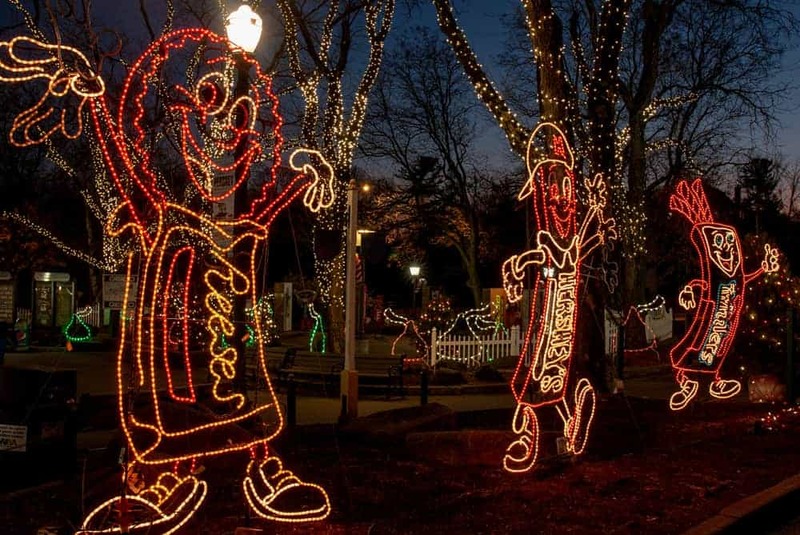 Featuring more than two million lights, Christmas Candylane at Hersheypark is a great place to get in the holiday spirit. Whether you want to ride some of the park’s rides or simply gaze the beautiful lights, there’s something for everyone to enjoy at the park. I’m honestly not a huge fan of amusement parks, but I really enjoy visiting Hersheypark at Christmas time for the wonderful displays, sounds, and smells. Christmas Candylane is open November 16-January 1, the same dates as the nearby Hershey Sweet Lights. Also check out my favorite holiday attractions in Hershey and Harrisburg. Longwood Gardens is one of the most beautiful gardens in the entire country, and during the holiday season, it gets all dolled up for Christmas. Outside, 500,000 lights brighten up the gardens, while fountains dance to the sounds of Christmas music. Inside, rooms are set up with a variety of Christmas trees and other holiday displays. While the crowds might be a bit crazy, a stroll through Longwood Gardens is sure to put you in the Christmas spirit. “A Longwood Christmas” runs from November 22, 2018 through January 6, 2019. 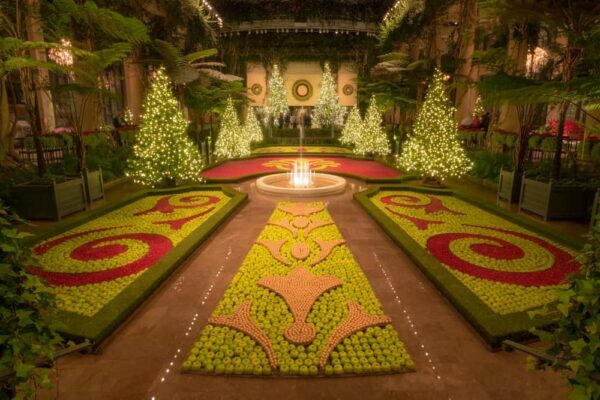 For more information, check out our full article on Christmas at Longwood Gardens. The shops in the downtown area feature a wide-variety of items, making it a great place to do your Christmas shopping. Even better, there is a small, traditional Christkindlmarkt called “Christmas City Village” in the downtown area. The village is open Fridays, Saturdays, and Sundays from November 16 – December 23. So, while you might want to skip the expensive and inauthentic Christkindlmarkt, check out our top picks for things to do in Bethlehem during the holiday season. Visit Koziar’s Christmas Village for a great time this holiday season! Started in 1948 for the enjoyment of the Koziar family, Koziar’s Christmas Village has grown into one of Pennsylvania’s best Christmas destinations. The lights and displays at Koziar’s are quite intricate and feature everything form an outdoor model trail to a scenes from various Christmas stories. Tens of thousands of lights are strung up throughout the village, creating a scene that is simply magical. This is a great Christmas destination for kids because there is always something new and exciting around the next turn to keep them occupied. Click the link to read my full review of Koziar’s Christmas Village. Koziar’s Christmas Village is open November 3, 2018 through January 1, 2019. 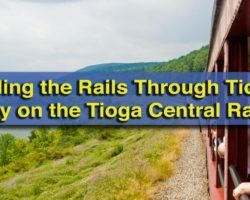 The Carbon County borough of Jim Thorpe is worth visiting any time of the year. However, at Christmas time the town turns itself into an old time Christmas village. The official events take place during the first and second weekends in December and include a beautifully decorated downtown, roaming carolers, train rides, Christmas contests, and more. There are even extended hours at many of the shops and restaurants in the downtown area. There are few places in the state that can compete with the quaint Christmas atmosphere of Jim Thorpe, Pennsylvania. Do you have a favorite Christmas thing to do in Pennsylvania? Let us know in the comments section below! Looking for more great things to do during the holiday season in PA? 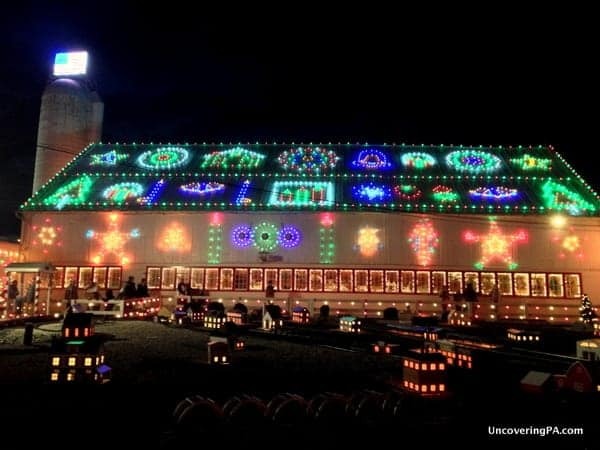 Check out Kraynak’s Christmas display in Hermitage and the Winter Light Spectacular near Allentown. 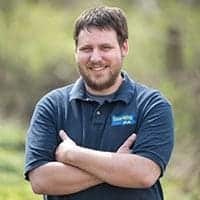 I love to visit Peddler’s Village in Lahaska, PA and also New Hope – Bucks County has some beautiful spots this time of year. I’ve heard that Peddler’s Village is very nice this time of year. Thanks for mentioning it, Jen. I haven’t been but I have heard great things (and want to visit) the Dickens of a Christmas event in Wellsboro that is held the first Saturday in December. I’ve heard great things about that as well, Greg, but when you are boiling down the whole state to 10 places, you can’t include everything! Thanks for mentioning it. The closest place on this list is almost three hours from home. May I suggest Kraynak’s “Santa’s ChristmasLand” for the Western PA folks? Found in Sharon, PA, Santa’s Christmasland is open from mid-September until the end of the year and offer multiple themed displays reminiscent of storefronts. Maybe you’ll see how they might celebrate Christmas on Sesame Street or which woodland creatures like to toast marshmallows. There are beautiful ways to use lights to enhance your decorations, both inside and out and new ideas as well. End the tour with a visit with St Nick himself. The store contains old-fashioned toys like tractors, models and puzzles, many of the decorations you have just seen, a full greenhouse, a lovely curio shop and model train section. Oh, candy and baked goods too. 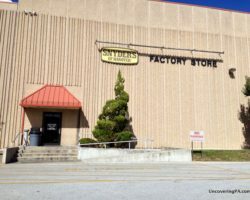 When you are looking at a place with something for every person in the family – this is a great place to go. And, if you miss it this Christmas Season, you can go for Easter, when they do it AGAIN with lovely spring and bunny displays. It also should be pointed out that there is always a display reflecting on the religious meaning of each Holiday. There are a few western PA things on the list, Marty, but that display does sound very neat. I’ll have to check it out if I’m out that way this time next year. Thanks for sharing. Would hate for someone to miss out on it! Thanks so much for letting me know, Kerri! Not sure where I got those dates (I wonder if the page I got the info off of listed last year’s dates). Either way, I’ve fixed it. Thanks so much for pointing it out to me. Sorry for the error. Thanks for all the info. Lots of great places to go exploring. Check out York’s Christmas Magic! Everyone is invited to Christmas at the Mansion and Holiday Market on December 13 from 1-6 pm at the John Harris-Simon Cameron Mansion, 219 S. Front Street, Harrisburg. Natural decorations, vintage toy exhibit, a visit with Santa Clause for the kids, and in the Holiday Market, ten of the finest artisans in Central Pennsylvania. Free parking. For more information, visit http://www.hsdchappenings.blogspot.com or phone (717) 233-3462. Five years ago we fell in love with Dickens if a Christmas in Wellsboro Pa. If you have a chance go to it. It’s always the first weekend in December. What about Holiday Lights on the Lake at Lakmemont Park in Altoona? They transform the entire amusement park into a winter wonderland that you can drive through. 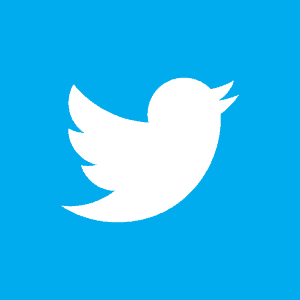 It’s definitely worth mentioning! Spirit of the Holidays -Holiday Market Saturday, December 5th 10am to 6pm and Sunday, December 6th 12pm to 5pm. Check out http://www.celebrateschuylkill.com for the entire Art Tour agenda. Dickens Of a Christmas in Wellsboro is a wonderful little festival to attend. Thanks for recognizing the German Christkindl Market in Mifflinburg! we have made that trip an annual trek. Shade Mountain Vineyards are not far south of the town to pick up you winter stockage, and around the corner from there are two Christmas tree farms to cut your own and bring back. I grew up near Philly and now live in Lancaster. While my parents live right behind Peddlers Village in Bucks County and we enjoy visiting there of course, the traditional old country simplicity of Mifflinburg is wonderful. I do need to get up there for that some year. Looks like a really great time. you missed Kraynak’s in Sharon PA. great store with a Christmas tree show. A Christmas Carol rendition by Gerald Charles Dickens at the Country Cupboard in Lewisburg, (and other locations) and the all male caroling in Glen Rock. I visited Market Square in Pittsburgh last November and loved it! Stayed in the cultural district on Penn Ave. and you can walk everywhere! I highly recommend this excursion! I found National Christmas Center in Lancaster a great disappointment. Indiana and the Wanamaker organ are my faves on your list, and I would also add Wellboro’s Dickens weekend as my never-miss-it experience. Just curious why Pittsburgh’s Phipps Conservatory at Christmas has never made your list? I mentioned it in my article about Pennsylvania’s best Christmas towns. Don’t forget the miniature train display at the Carnegie Science Center, the life size creche Nativity Scene on Grant Street in Pittsburgh or the Christmas display at the Carnegie Museum of Natural History in Oakland. The light show at Shadybrook farms in Yardley is outstanding. You can drive through, or better yet ride in a wagon with your friends and family. There are fire pits, s’more packets, many flavors of hot chocolate to buy, and a great ornament shop!!! Candlelit Christmas, Old Bedford Village. December 1 and 8, 5 pm until 9 pm. Bring a flashlight and dress for the outdoors. Great time!